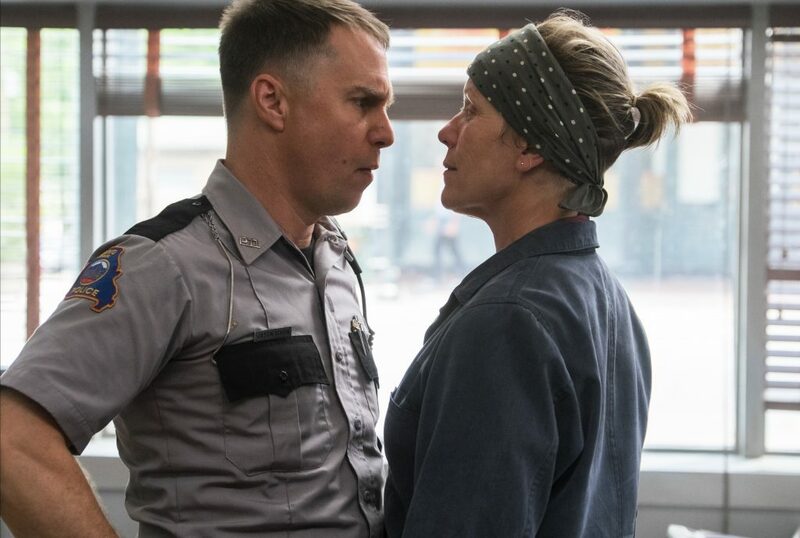 Sam Rockwell and Frances McDormand in the film THREE BILLBOARDS OUTSIDE EBBING, MISSOURI. No one crafts scenes like Martin McDonagh. 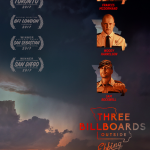 Three Billboards Outside Ebbing, Missouri is only his third feature, yet the Irish playwright-turned-auteur already shows such a master’s understanding of how to structure and pace a film scene that it is like listening to a perfectly conducted piece of music. As he did with In Bruges, McDonagh again blends the vulgar, the beautiful, the tragic, and the comic into a film that defies categorization. Three Billboards is a tragedy at its core. In fact, one could argue there are three interrelated, tragic storylines. 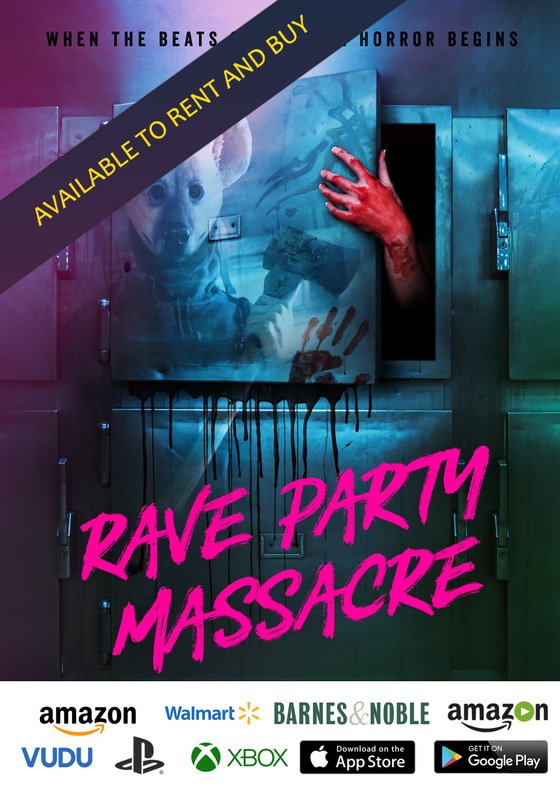 The film begins after the first tragedy has taken place. Mildred (Frances McDormand) has not recovered from the abhorrent death of her teenage daughter several months earlier. McDonagh chooses the most ignominious death imaginable for the girl. I doubt a parent ever finds true peace after the loss of a child, but the way in which Mildred’s daughter is killed guarantees that impossibility. Nor has Mildred found justice, because the police, led by Chief Willoughby (Woody Harrelson), have failed to make any progress on the case. It is a cold file at this point, but Mildred, already stubborn and abrasive by nature, will not let her daughter be forgotten. She posts the three billboards of the title, which immediately incite the small town of Ebbing into outrage of one kind or another. Deputy Dixon (Sam Rockwell), who has a history of brutality, particularly against people of color, and a filial devotion to Willoughby, begins taking violent measures to get the billboards taken down. Mildred, Willoughby, and Dixon each experience a particular tragic fall. Yet Three Billboards is also a comedy, because McDonagh both finds the absurdity in these tragic situations and understands when to use humor as a release valve. What follows is a string of pitch-perfect, shocking, and comedic scenes so idiosyncratic that only McDonagh could have created them. Dixon’s actions prompt retaliation from Mildred. Willoughby, meanwhile, attempts to be a steady, moderating influence, but he still cannot locate a lead in the case. He also suffers from a terminal illness, and his decline is quickening. He can’t pour himself back into this case because he needs to spend time with his wife (Abbie Cornish) and their two daughters before he dies. The war between Mildred and the police escalates quickly. McDonagh doesn’t turn the screw, he blasts major beats into the story with a nail gun. The writing in Three Billboards is stunning. The film is a treatise on the destructive nature of guilt and revenge and also offers surprising insights into race. Each scene contains at least one perfect line and/or one indelible character action. It also includes a few finely crafted fictional letters, which is an art form all its own. Rockwell’s performance is one of the year’s best, but that can be said about every actor in the film. Rockwell stands out merely because his is the most complex role. McDormand and Harrelson are unsurprisingly perfect as these characters. John Hawkes is as menacing as he was in Winter’s Bone, but typical of this film, he and McDonagh still manage to inject moments of comedy into the performance. Cornish, Peter Dinklage, and Caleb Landry Jones also give outstanding supporting performances. And then Sandy Martin and Samara Weaving, two actors whose work I don’t know at all, steal each of their scenes with expert comedic timing. Their characters aren’t exactly crucial to the story, but it’s difficult to imagine the film without them. It would be easy to chalk up McDonagh’s skill as a director to his background as a playwright. His direction of actors and dialogue certainly reflect that experience. His ability to capture the rhythms of middle American English is especially impressive for an Irish writer and certainly something he honed writing for the stage. But the surprising thing about McDonagh’s work is his mastery of things unique to the cinema. He uses the landscape, staging in depth, and music like a filmmaker who has been working in the medium his whole life and knows it intuitively. He shows a particular knack for ironic staging and camera movements that reveal surprisingly details at exactly the right moment. The only legitimate criticism of the film I’ve seen yet is that the narrative doesn’t always maintain its own logic. Before we know it, mundane characters similar to people you’d encounter in any small, American town are behaving similarly to McDonagh’s professional hit men in In Bruges. There are numerous shocking acts of violence in this film and they do, admittedly, seem outlandish at times. It’s fair enough to say it strains plausibility, but I would argue that is one of the central points of the film. I think we need to grapple with the fact that the vengeful America presented in Three Billboards, in which fatal, sudden violence is a constant possibility, is not only plausible, it is an accurate picture of who we have become.